It's great fun to ramble around back roads. You never know what you're going to find. Scenic views of the landscape are great. Examples of our Canadian heritage are wonderful. Across rural Canada the old buildings are disappearing. 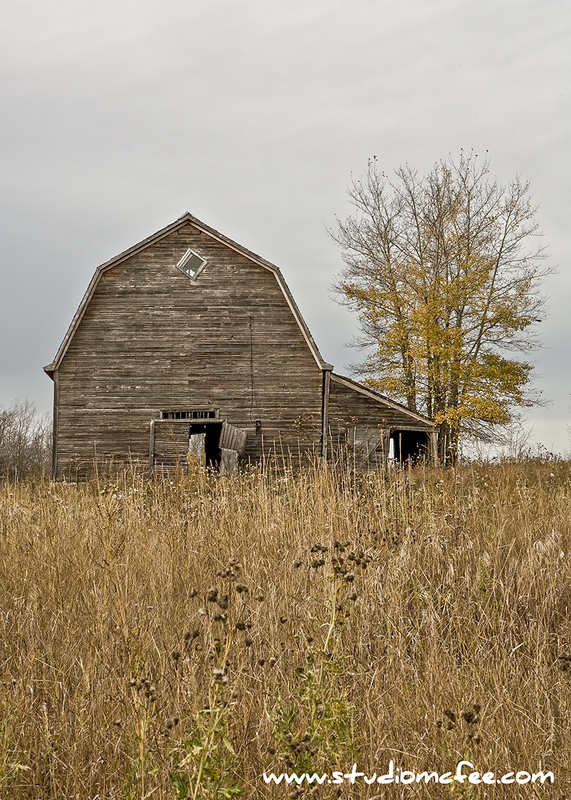 In Ontario, the iconic post and beam barns are falling into disrepair. 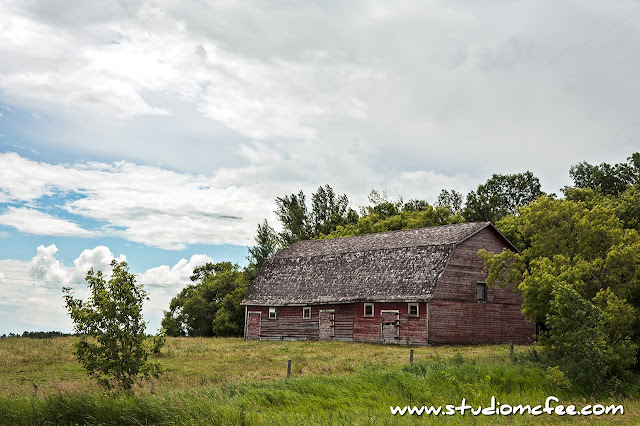 In Manitoba, gambrel barns, like those shown in this post, are getting harder to find. But when one presents itself, it puts a smile on my face. The old barn shown above basically posed for the photograph. Positioned at the crest of a hill, the barn overlooked the countryside. The trees provided a backdrop. The fading red paint hinted at age and better times. As I took in the scene, I realized the original barn was older than I had imagined. Part of the barn was constructed of logs. Typical of many older barns in Manitoba, this barn had a gambrel roof, "a symmetrical two-sided roof with two slopes on each side" (Wikipedia). This style of roof became popular with farmers because it provided considerably more storage. I find the gambrel form much more pleasing than many modern barns which seem to have been built with only function in mind. Of course, there is some irony here. The gambrel barn was designed (with function in mind) to create more storage space.